This Brungs picture is from the late 1870's. From left to right we have William, John, Anna, and Franz Josef. Not pictured is Anna's husband P. Joseph . 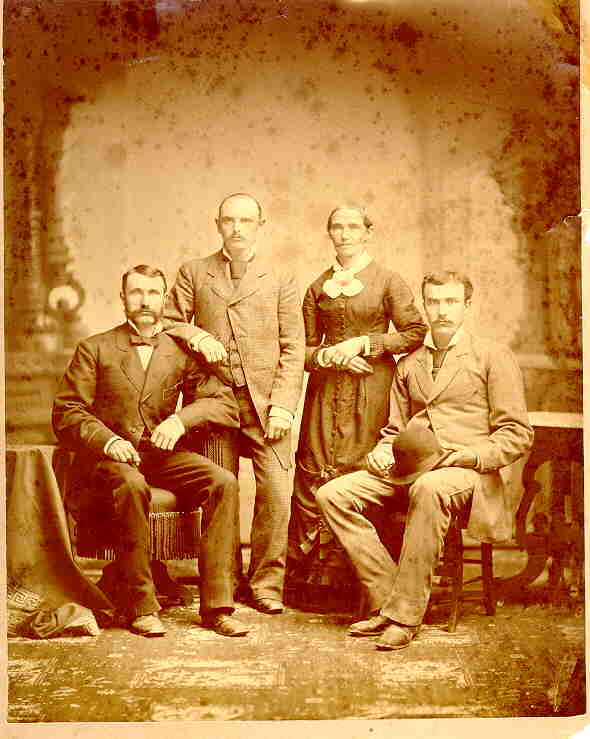 This family came to the U.S. in 1854. William is my great-grandfather. I am currently researching this family, trying to get any information about P. Joseph or his parents but unfortunately, we have found very little information about their lives in Germany. We believe they emigrated to the U.S. from Koenigswinter (outside Bonn) but are still looking for any written comfirmation of that. The research continues...can you help ? 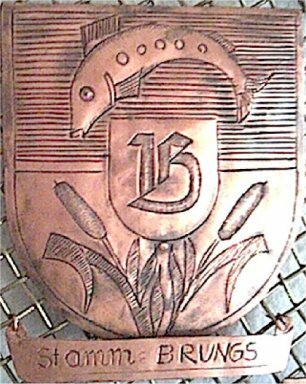 This just in.... Look, it's the Brungs' Coat of Arms !!! !!!! Mystery SOLVED !!!! Press to read all about it.